hydrothermia Thanks for the feedback. Definitely some considerations here. This is not intended to be a serious deck. 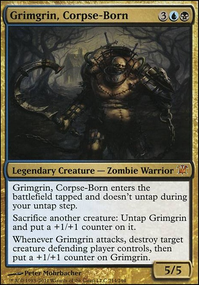 It's totally a gimmick deck centered around letting Thief of Sanity be as annoying as possible. Cast Down is primarily there to just slow down the early game until Thief gets going. So Murder might be a little slow to achieve its goals. 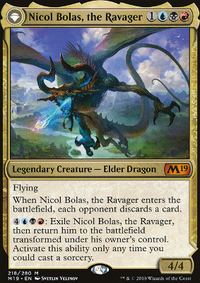 Vraska's Contempt may well be a better alternative to Settle the Score, and Sinister Sabotage over Unwind. 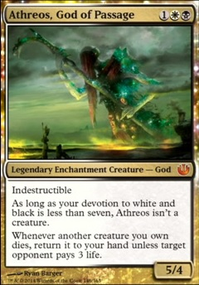 At the moment, it's aspirational on MTGA, since I don't have the collection for it yet. 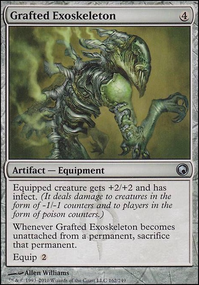 If I did, I'd probably play Sinister Sabotage over Unwind, and play for a bit with Vraska's or Settle to see how the extra life compared with extra chances to activate Lilliana. I included March of the Drowned just to have a cheap easy way to get some Thiefs back if they all get killed. Recover or Soul Salvage might be replacements, but additional hand hate doesn't really feel "right". Whether more removal is necessary would probably take some playing with. The win conditions for this deck are pretty much hit them in the face with enough unblockable damage or Karma, depending on what you steal. Though, the primary goal is entertainment rather than winning. 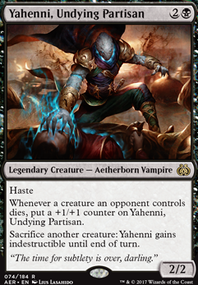 I think B/W lifegain vampires is a good deck and fun to play. 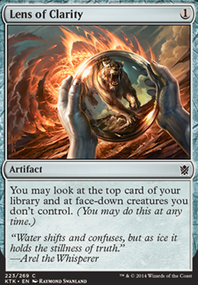 I would play it as is and find which of the creatures you like best, and keep adding the ones you like while removing ones that don't work out. I would concentrate on lifegain and flying. Sadistic Skymarcher is a great card in my deck. Removal is very importnat cause most vamps are not very beefy. I would try Walk the Plank in stead of Impale and Recover instead of Waltz. Life gain and card draw can really help out new players buy time while you learn your deck. Lots of folks will tell you it's wrong, but Sword-Point Diplomacy is a great card for card draw in black. If your going to do blue. You should Try some draw power. Those rats will get wiped out by spot removal faster than you can draw into them. I like Opt you can also use, Chart a Course, Curious Obsession,which gives them a bit more on the defense plus draw. Daring Saboteur will already be unblockable due to the Tetsuko. Costly Plunder is good as a sac block draw. Infernal Scarring can help you beef up the rats and draw when they get killed off.Recover would be good for when they spot off your tetsuko....there's plenty of ways to do this but try these out and let me know how it goes! I am also unfamiliar with the super friends build but I have tried to build planeswalkers protection and support into my Jace Mirror Madness and The Old Grixis Mill. Cards like Recover and Release to the Wind become valuable late game plays. Nearly kill off Teferi with chain viel and blink him to have the new copy see all the extra plays!